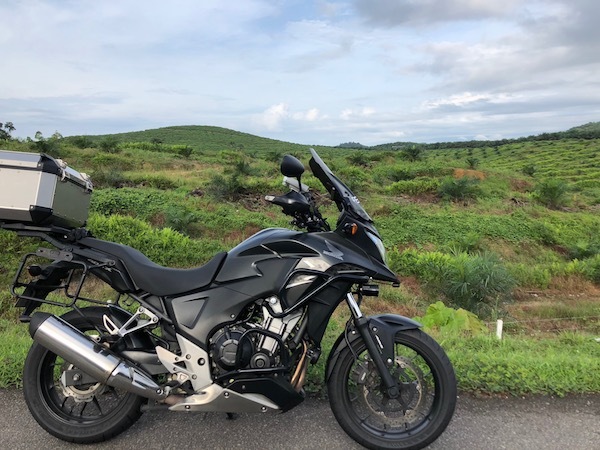 While my journey with the Honda CB400X was brief, it was fulfilling. This was the little machine that could. 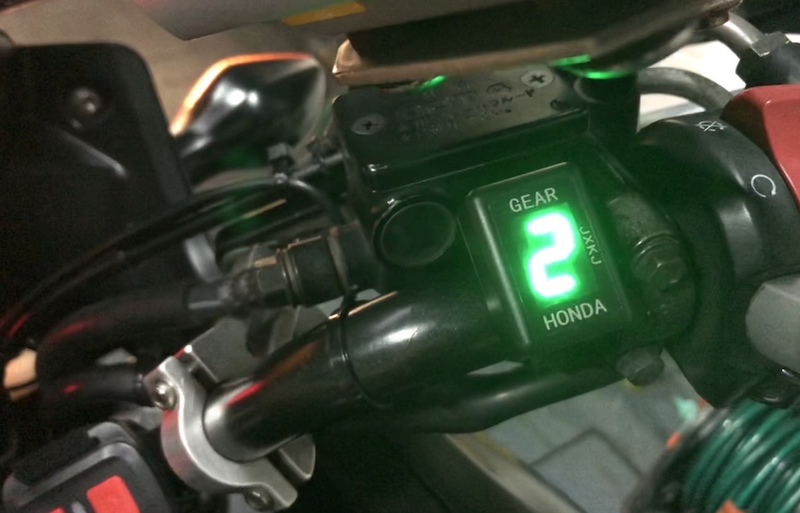 It had the power to munch miles, but yet frugal with fuel. It was light enough to take it through most terrains and could easily be serviced and repaired just about anywhere in this part of the world. 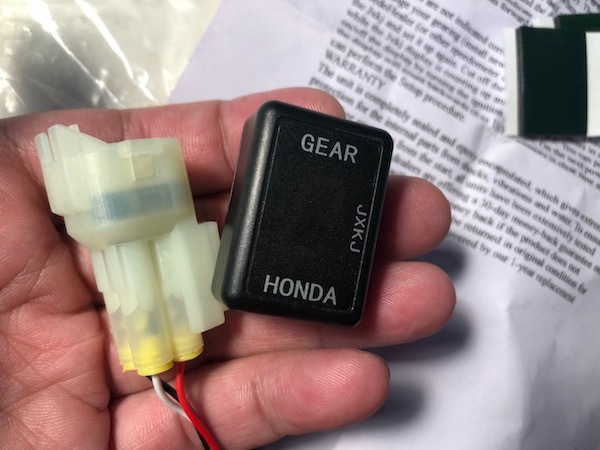 Not that I needed it – the legendary Honda reliability lived up to it’s reputation. And in my 5 months of ownership, I’ve clocked close to 10,000km on this workhorse. My last ride on the CB400X to the LTA office at Sin Ming Road. 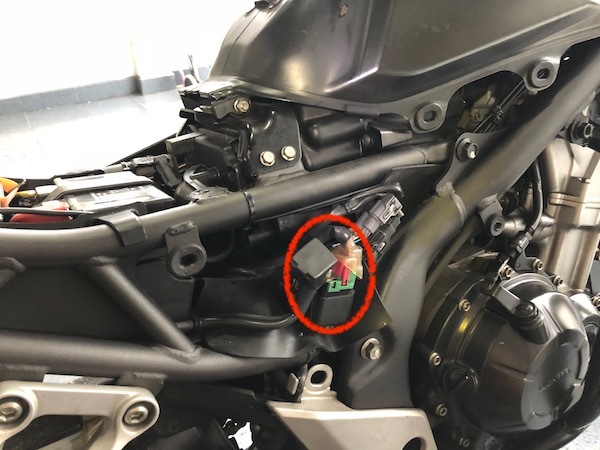 Author sgBikerBoyPosted on 3 April, 2018 Categories Honda CB400X, New ExperiencesTags CB400X, Class 2, Class 2A, LTA, sold, upgradingLeave a comment on Goodbye Honda! This morning, we head to Mersing! 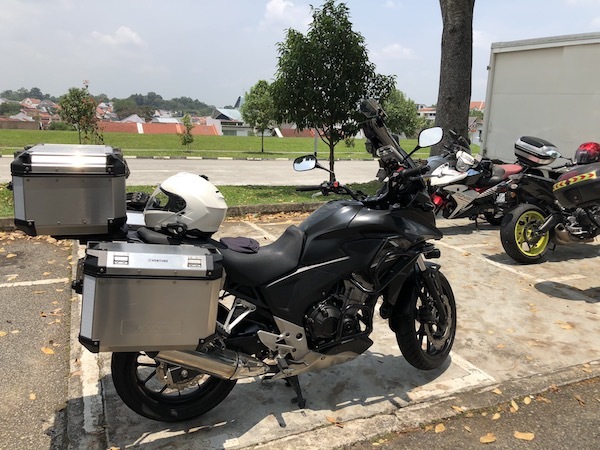 2 DRZ’s, 3 Honda’s and a Yamaha – we met at B-Point for a quick breakfast and headed off towards the eastern coast of Peninsular Malaysia. 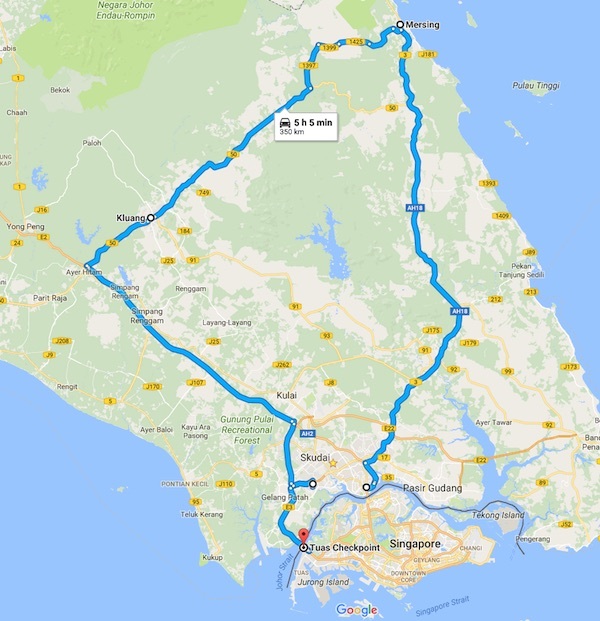 We took the scenic coastal route towards Mersing. 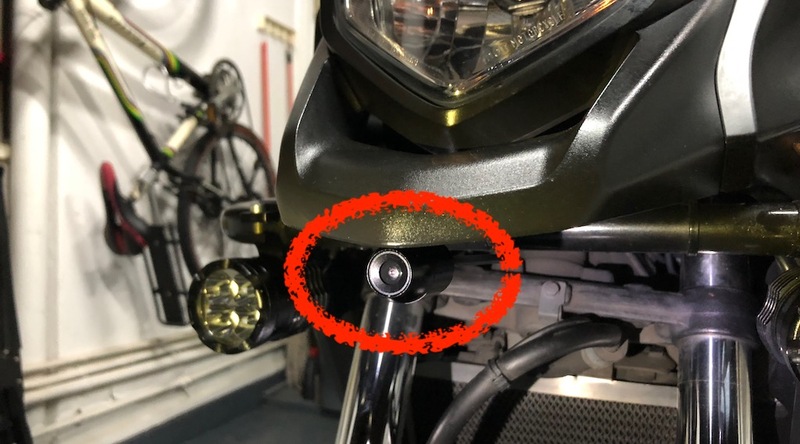 The stock CB400X grips not only felt hard, but weren’t…. well… grippy. 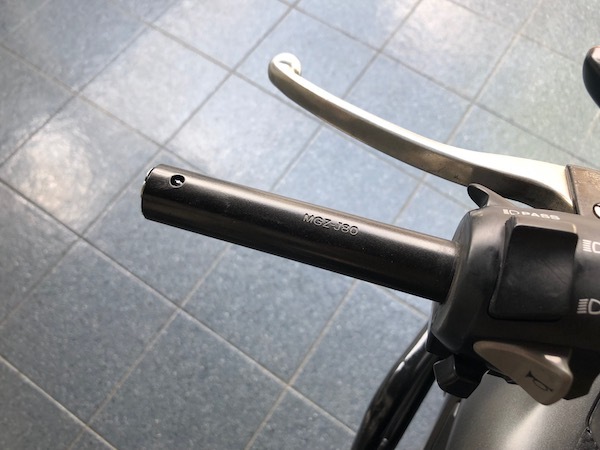 I find myself subconsciously gripping onto my handlebars tighter, and thus occasionally leading to numb fingers – especially on some of my longer rides. 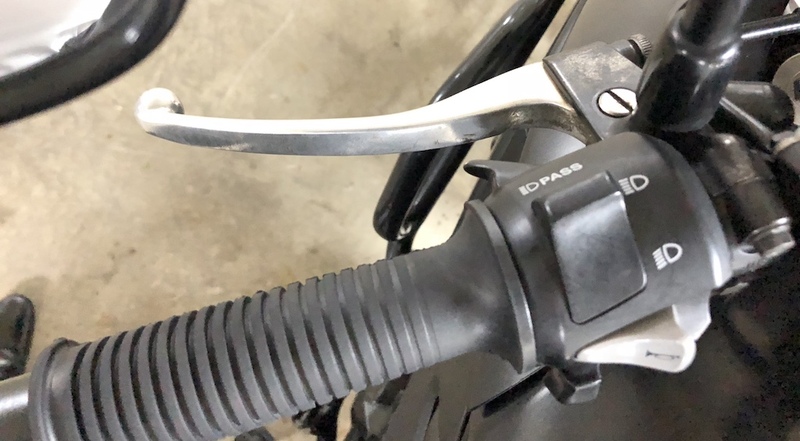 I’ve previously tried Grip Puppies on my previous motorcycle, but due to my small’ish hands, I didn’t like the grip’s enlarged diameter. 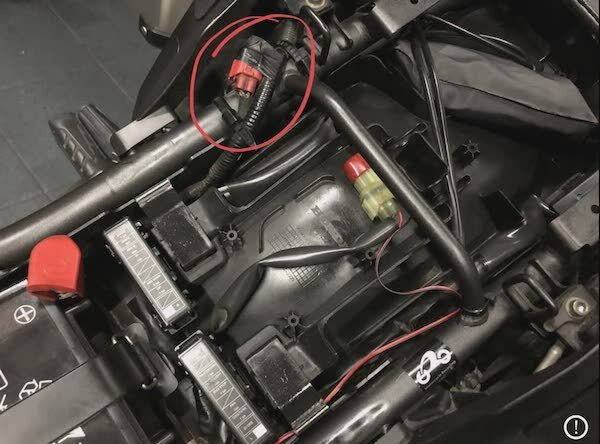 And since I’ve heard a lot of good things about BMW’s rubber grips, I decided to give them a try! 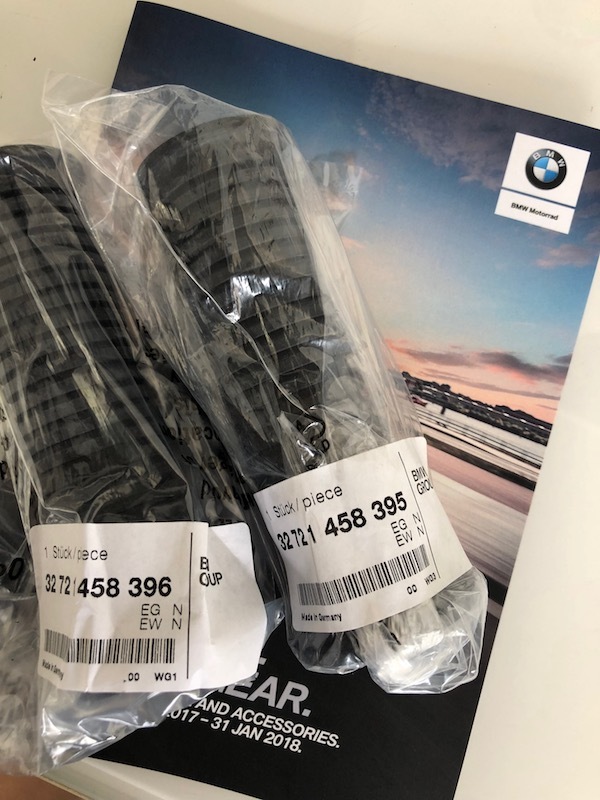 Brand new set of rubber grips from BMW Motorrad. The LHS grip was a breeze to remove – just twist and pull until it slides out. I’m a durian lover! 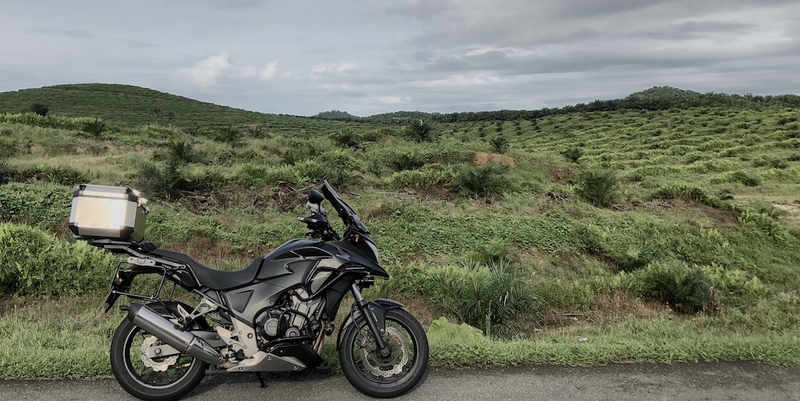 And this Sunday Morning, we ride to Zhong Cheng Durian Plantation! At less than 50km from the Causeway checkpoint, the durian farm is pretty near Singapore actually. 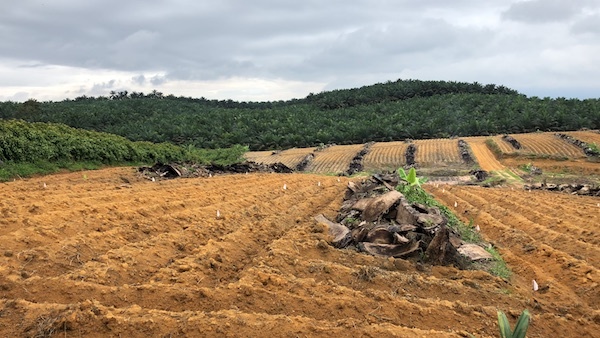 And when we arrived, there’s a short 750m or so of dirt track before we reach the plantation. The scenery around the plantation. 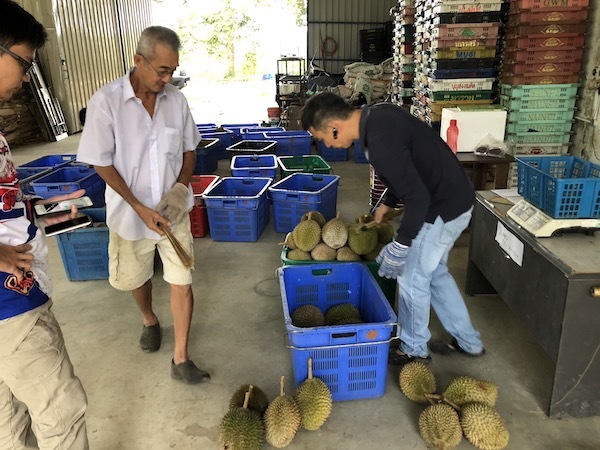 The plantation owner greeted us and helped us select the durians. Last Sunday morning, I rode alone. This Sunday, with a large bunch of friends – some old, some new. I counted 19 bikes. We took a leisurely ride to Sedili jetty. And the highlight of our trip to Sedili?…. Eggs! 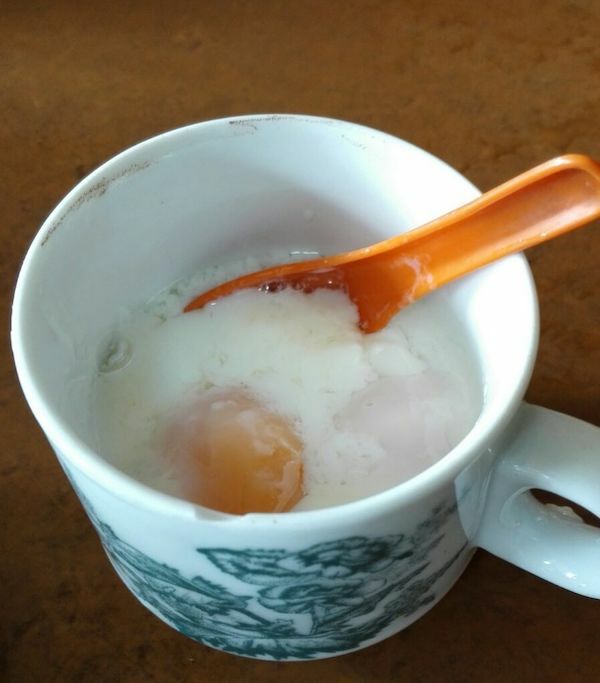 Sedili soft-boiled eggs served in a coffee cup! 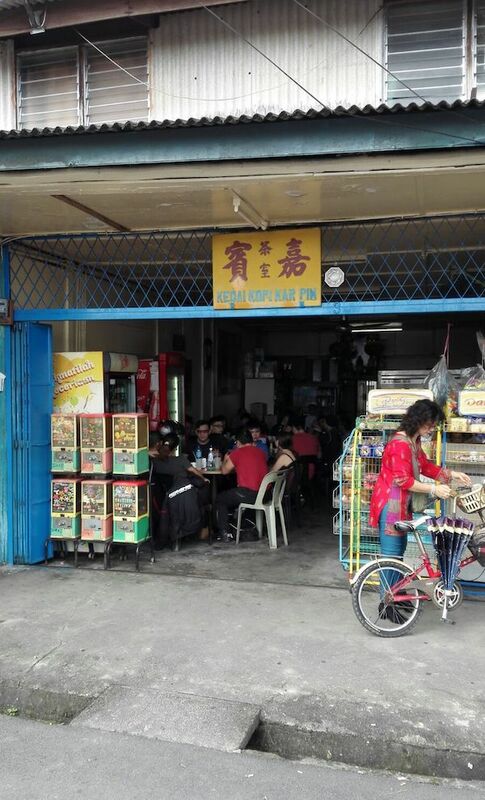 The coffeeshop that serves the eggs. Today, I ride alone. Kinda reminds me of my 2-month solo ride – where it was just myself, my motorcycle, and my thoughts. It’s pretty therapeutic actually! 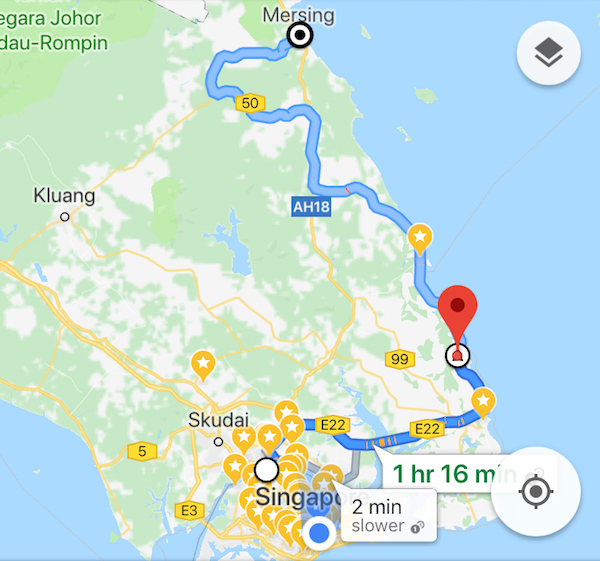 Today, I head to Mersing – the gateway to the islands of Pulau Tioman and Pulau Aur.